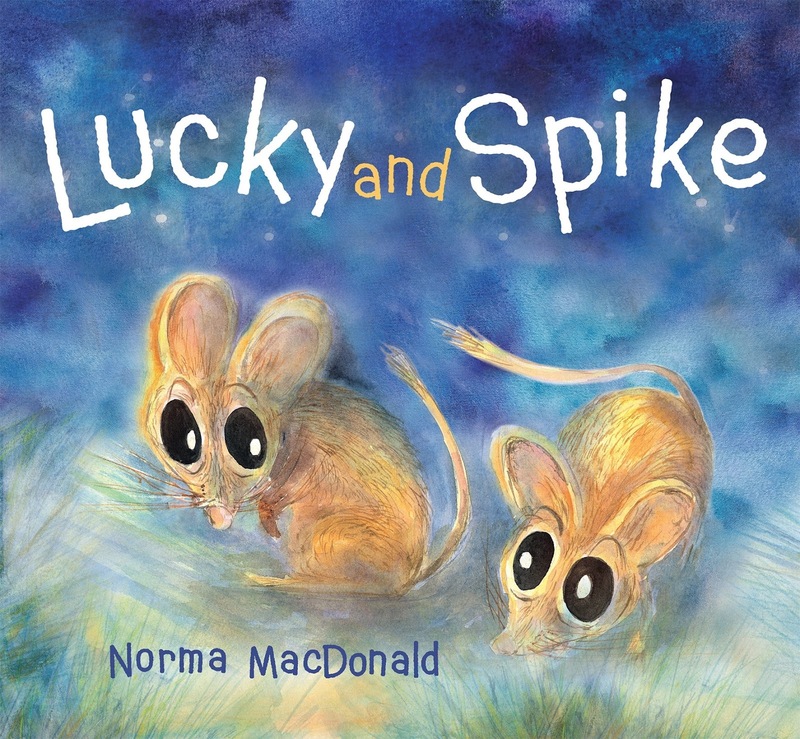 Lucky and Spike are two endearing hopping mice who go looking for food one night and find a heart-racing adventure in the spinifex grass. Eating spinifex seeds near the people's camp, the mice are confronted by a feral cat and take shelter among the stamping feet of the people. The next challenge they face is a barking owl that swoops down on them. In a thrilling tale, the owl is eventually chased away by the cat and the mice are saved when the spinifex grass that shelters them cuts the cheek of the cat and sends it off into the night. This exciting and beautifully illustrated story highlights the devastating impact of feral cats, introduced to Australia by the first settlers, on many of our native animals and birds. This is Norma MacDonald's second book about Lucky, the cheeky spinifex hopping mouse, and children are sure to fall in love all over again with the hopping mice, whose large ears and wide eyes are captured through Norma's stunning loose lines and washes of colour.